Beer Belly's brand new Long Beach location is looking for an experienced GENERAL MANAGER who has a depth of knowledge of food, craft beer, and restaurant operations. We are really looking for the RIGHT individual who is willing to dedicate him or herself to our growing company and really help us take it to the next level. A individual that is dedicated to the success and future of the business and willing to do what it takes to make that happen. If you invest in OUR future we will invest in YOUR future. The potential is here and we are looking for the perfect person to join us. You will report to the Executive Chef and Owner. Thank you for taking the time to read our ad and we look forward to working with you in the future. *IMPORTANT* Please include a cover letter with your application and please respond promptly to messages or emails. Hey everyone, wanted to drop you a quick line to let you know that Chef Wes has a brand new menu in the works for you, and we thought it would be a lot of fun to partner up with Door Dash to give you a sneak peek. This means you will get the chance to try a sampling of Chef's new menu (Sunday 7/31 5-9pm), and have it delivered to your door before we even make it available in-store. Order from Beer Belly (on the Door Dash app) between 5 pm - 9 pm on Sunday for discounted food and beer pairings. Customers will receive $7 off food items with any beer purchase and delivery is included for new customers. 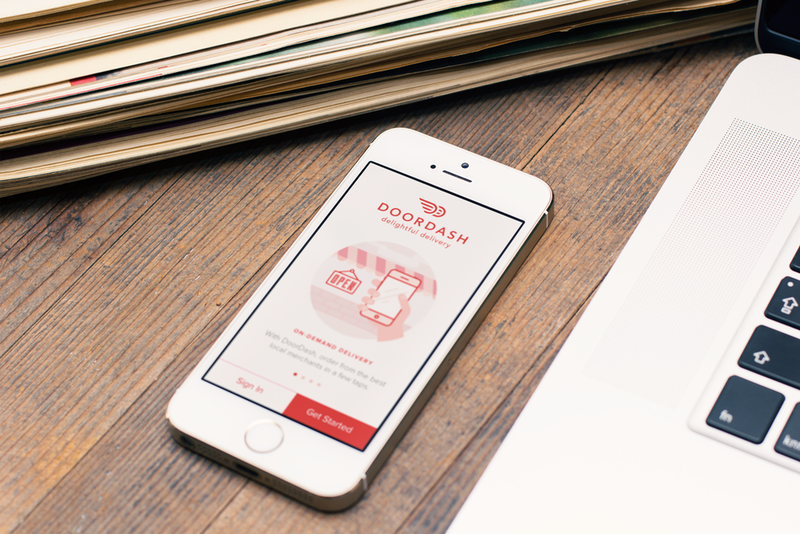 Go to DoorDash.com or visit the Google Play or iTunes store to download the app and get started. Select any beer with any food item from the Beer Belly Summer Promo menu and receive $7 off checkout with delivery included for first time DoorDash customers. DoorDash is committed to trying new things, to pushing the limits, and finding creative ways to do so. Naturally, a partnership with Beer Belly seemed to fit like a glove, as Beer Belly is dedicated to creativity at all levels. From craft beer to the delectably crafty food by Chef Wes Lieberher, Beer Belly offers a new opportunity for people to color outside of the lines and try truly unique beers and bites. Located in the heart of Koreatown, Beer Belly is a local favorite known for their sense of community and support of the craft beer movement. And before Beer Belly announces their new summer menu, customers have the exclusive opportunity to try some of the new menu items on the evening of July 31st exclusively with DoorDash. Plus, with DoorDash’s recent launch adding alcohol to the platform, beer lovers in Los Angeles can celebrate with specialty craft beers, paired perfectly with Beer Belly food and delivered straight to their door. Order from Beer Belly between 5 pm - 9 pm on Sunday for discounted food and beer pairings. Customers will receive $7 off food items with any beer purchase and delivery is included for new customers. Later this month, Beer Belly and DoorDash plan to promote the launch of Beer Belly’s new location with a pop-up shop in Long Beach, CA. More info to come soon! LA Beer Week is a great way to kickoff the summer beer drinking circuit in Los Angeles, and this year we have some great events lined up to get in the spirit. Be sure to watch this space for updates as they come in. Breakfast is what's for dinner as Chef Wes prepares a unique breakfast for dinner menu to go along with a very special collaborative taplist from two of our favorite breweries...Almanac and Smog City. Join us for a special night of beers from the Pacific Northwest. Featuring beers from Cascade, Boneyard, Logsdon, Double Mountain, Crux, Fat Heads, Buoy, and Breakdside. If you’ve never had the chance to try standout beers like Shrieking Violet and Notorious TIPA now is the time. THURSDAY JUNE 23RD (5PM) THE KTOWN BEER CRAWL FEAT. GOOD BEER CO.
A night out in Koreatown often means Korean BBQ for dinner, copious amounts of soju, and a round of karaoke. During LABW we present an alternative...a Ktown Beer Crawl. Craft beer bars, Beer Belly and Southland Beer have teamed up with the Good Beer Co. to bring you a Ktown Beer Crawl! The Good Beer Co. is known for brewing fantastic sours, wilds, and farmhouse beers and we are really excited to bring them to the neighborhood. For this special occasion, we will both be tapping kegs from their lineup of great beers.